Well, I guess I’m not just listening to Jonsi‘s new songs, but learning a bit about the live show he’s taking on the road with him. I’ve got tickets, looking forward to it. 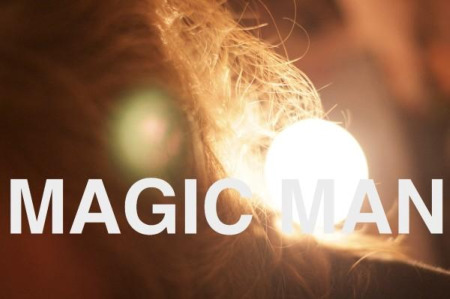 From Boston comes Magic Man, a duo born from time spent on organic farms in the French countryside. I did a similar thing in 2002, as part of my trip around Europe and I’ll say, there’s something inspiring about that place. I remember the wine and food, the air, and inability to communicate well yet feel perfectly at home. Sam and Alex finished the recorded songs over the net, from France to the United States. Check out Monster. Also, care of their labelArcade Sound ltd, you can download the whole record here. Thom Yorke‘s side project (original listed as Thom Yorke ???) has a name, Atoms For Peace. The band, consisting of drummer Joey Waronker, percussionist Mauro Refosco, Chili Peppers bassist Flea, and longtime Radiohead producer Nigel Godrich, will be touring in April, hopefully coming to a city near you.